The main purpose of this site is to inform you about the most important design flaws and mechanical problems (and the solutions to them) which appear in the most famous V-twin of the last century. Especially the pre '84 models have such a bad name that even the enthusiasts think the later models are trouble free. 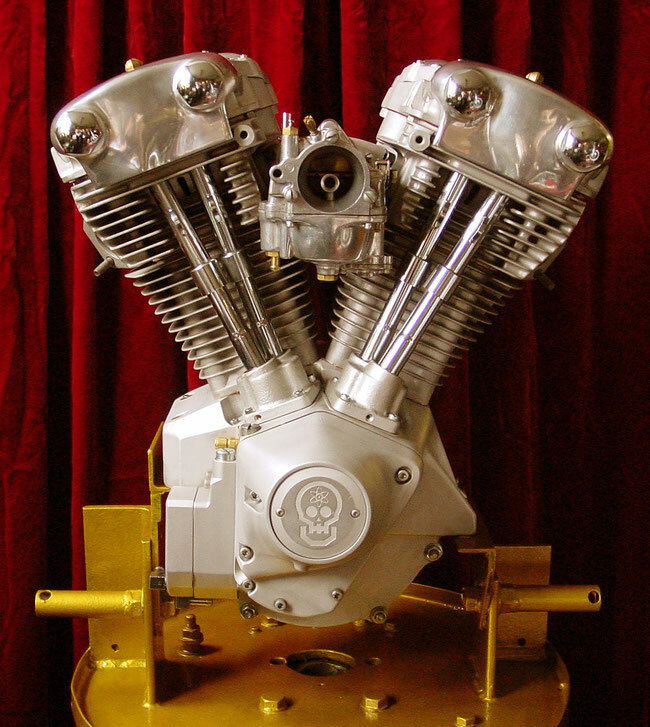 What PTP stands for is best described in the words: Advanced American V-Twin Re-engineering. Most of the knowledge on how to make them reliable again was gained by the force of passion, sheer determination, a fresh approach to everything mechanical, logical thinking and just tinkering with the old iron/aluminum lumps for the last 30 years by HD guru Joop Van Amelsvoord. The modifications that are presented on this site are tried and tested on bikes that are driven daily. Some of them already have 150.000 trouble free miles on their tacho, and only come in the workshop to have an oil change. In the menu you find the Engine Work section which is divided in the main components of the engine. These are divided again into the separate parts they are build with. on in these engines, and how to get the most power and fun out of these old V-twins that are loved by so many. If you have questions or suggestions please contact us at perfecttwinperformance@hotmail.com because we strongly believe that you can never know too much.